Spring Hill FL first-time home buyers in 2014 are faced with a question that hasn’t changed for generations: is it more practical to buy right now, or to continue to rent? Over the past few years, buying has been the easy choice. Nationally, in 2013 it cost 35% less to own a home than to rent according to that year’s study by real estate website Trulia. That despite rising house prices and mortgage rates. But that was last year, and the experts have been pretty unanimous in predicting that interest rates will continue to rise—ending up somewhere near 5.5% by 2014’s end (per the National Association of REALTORS®). In the face of higher interest rates and house price tags, will 2014 be the year when renting becomes more affordable than buying? While first-time home buyers in Spring Hill FL are faced with increasing house prices and mortgage rates, renters also find another national trend: higher rents. Rents have been on the rise for the past few years, with continued increases expected throughout 2014. According to Axiometrics, the folks with the latest data, apartment rents are on course to rise by 3.04% in 2014. Research firm Reis puts the expected rise at 3.15%— and both say the causes are the potent combination of tight supply and rising demand. Whenever the economy improves, each incremental gain puts even more pressure on rents—which acts as an offset to any financial benefits of renting versus owning. Where does that leave our typical Spring Hill FL first-time home buyers? Spring Hill FL first-time home buyers can be a bit more confident as they take in one more piece of information from the real world of April 2014 (no matter what the experts predicted): over the past few weeks, national mortgage interest rates have been edging down instead of rising! That may well change direction again (probably will), but for now at least, I have to say that it’s a pretty clear call in the spring of 2014: time to get pre-approved and find the perfect home in Spring Hill FL or the surrounding Hernando County Real Estate markets! Spring Hill Florida Mortgage Rates Might Rise A Little, But What’s It Mean? Will Home Values Fall if Spring Hill FL Mortgage Rates Rise A Little Further? Right now, mortgage rates in Spring Hill FL (as in the rest of the nation) are higher than they’ve been for 15 months—a trend that’s likely to continue. We have to wonder about the impact higher Spring Hill Florida mortgage rates will have on Hernando county home sales in the coming year. First, some perspective. If mortgage rates do increase in 2014, it’s no ‘done deal’ that home buyers will be put off—nor that a wave of foreclosures will follow. The reason? By past standards, interest rates will still be low, even at the 5½% predicted by the N.A.R. Any hike in mortgage interest rates are coming off the historical 3.52% set in the spring of 2013. Consider: most of us were paying mortgage rates between 7 – 8% throughout the 1990’s! 5½% looks like a fire sale compared with those. Factor Two: surprisingly, a projected rise in interest rates is not predicted to dampen the enthusiasm for acquiring property. The Mortgage Bankers Association predicts that home sales will increase nationally by 10% in 2014. I have no doubt that some Spring Hill first time homebuyers could be waylaid by rising interest rates—after all, a 1% increase in mortgage rates equates to approximately a 10% rise in monthly payments. But overall, buyers who can meet the current lending standards should still be able to afford to own. Given the cost of the renting alternative, they may decide they can’t afford to pass up the right house at the right price. Additionally, there is a strong argument that the principal effect of rising interest rates is less likely to be on Spring Hill Florida home sales than on refis. The Mortgage Bankers Association predicts that refinancing demand will drop by half in 2014 (when you chart that kind of number, it looks like a cliff!). Many homeowners will already have locked in last year’s interest, so they certainly won’t be interested. Any drying up of the refinancing business may have yet another effect. There could be a follow-on effect as lenders start loosening their lending criteria to attract new business. First time buyers that have been locked out of the market until then may (we are now two after-effects later, so this has to be a ‘may’) find themselves suddenly eligible for a home loan. Given the healthier economy and falling unemployment, the outlook for the Spring Hill Florida housing market in 2014 has reason to look positive. Thinking of buying a home in Hernando County and want to shop the best mortgage companies in Spring Hill FL? Now’s the time to call me to discuss timing! What is a HARP 2.0 Loan? HARP 2.0 Is A Refinance Program That Allows The Refinancing Of Homes Where The Mortgage Balance Exceeds The Value Of The Property. 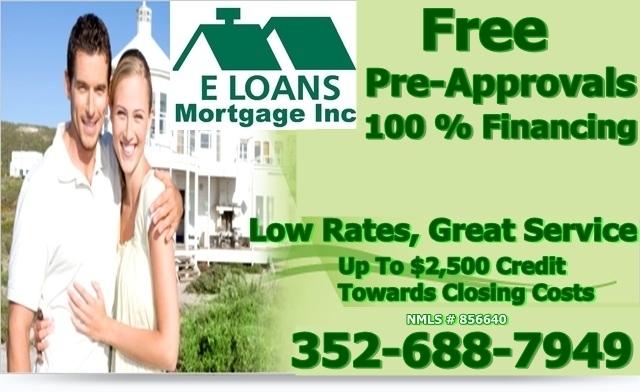 E Loans Mortgage In Hernando County Florida is offering the HARP.20 Refinance Program in addition to our other Mortgage Products. What Are The Requirements Of HARP 2.0? What Are The Benefits Of HARP 2.0? Property Inspection Waivers Are Available In Many Cases. This Means An Appraisal May Not Be Required At All! Thank You Channel 10 News For Continued Coverage. FAIR is commited To Bringing Balanced Reform For Florida Home Owners. For Information On Joining The Class Action Please Click On the Citizens Class Action LawSuit Button At The Top Of The Screen. E Loans Mortgage In Hernando County Florida, and Steve Fingerman will continue to fight for Florida Home Owners To Keep Home Ownership In Florida, I Proud To Be A Part Of This Action And Committed To Keeping Home Ownership In Hernando County and The Surrounding Tampa Bay Area Affordable. Please Subscribe To The Right And Forward This Site To Your Friends Using The Buttons Below. The 10 News Investigators have learned the group suing Citizens Insurance over its insurance practices will file more lawsuits Monday. We’ve learned that group — FAIR — will be filing class-action lawsuits against private insurance companies Monday. Those suits will go along with the cases they’ve already begun against Citizens. The 10 News Investigators have been leading the way on this. Following reports by 10 News last fall, allegations surfaced. The claims: insurance companies statewide are setting the replacement costs of some homes extraordinarily high — much higher than they should be. That means the companies can charge you more to insure your house. The technique lets them make more money and dodge state laws that limit how much they can raise your rates. That practice is what led the group FAIR — Florida Association for Insurance Reform — to the steps of the state Capitol last week. FAIR announced it’s suing Citizens Insurance over the issue. Citizens is run by the state and backed up by Florida taxpayers. We Are Happy To Announce The Launch Of E Loans Mortgage Inc! It’s not news that the Real Estate and Mortgage Industry both have seen their fair share of challenges over the past few years, but sometimes out of those challenges come exciting innovations and new ideas. With that said, it my honor and privlage to announce the launch of E Loans Mortgage Inc. Here at E Loans Mortgage our Mission is simple : To Provide The Highest Level Of Professional Mortgage Banking Services To Our Clients, Using The Latest Technologies To Help Our Borrowers Achieve Their Goals Through The Most Transparent, Easy To Understand Lending Practices Possible. Through my many years of industry contacts I have built a strong network of Partner Wholesale Lenders and Service Providers who offer some of the best Mortgage Products available anywhere. By Leveraging These Contacts, we have been able to secure negotiated Mortgage Terms that will provide our Borrowers with some of the Best Rates and Closing Costs available anywhere. The Team Here at E Loans Mortgage Inc is excited about the new opportunity to serve our borrowers, and it’s my personal belief that you wont find a better more educated team of Mortgage Professionals anywhere. Regardless if you are a First Time Home Buyer or a Seasoned Investor, rest assured we have a Mortgage Product to fit your individual needs. Being an independant Lender, E Loans Mortgage does not have to fit you into a specific box, this allows us the opportunity to custom tailor a Mortgage Plan designed to meet your specific financial goals and needs. What’s Not Covered In Florida Home Owners Insurance? Do You Know What is NOT Covered in Your Home Owners Insurance Policy? In recent years, insurance carriers in Florida have added many exclusions to property insurance policies, with little oversight or public debate. These exclusions are drafted into policy leaving consumers with less coverage for the same (if not higher) premium. Because many policyholders rarely read every word of their large and complex policies, they may not even be aware of what is NOT covered. Since policyholders are unable to negotiate policy language, they are left with a choice of accepting the changes, purchasing new endorsements or seeking a different carrier. Eliminating Your Rights to Appraisal – For 200 years, policies have included the binding appraisal process to settle disputes between insurance companies and the insured over amount of loss or value of damaged property. Many insurers are restricting or eliminating this provision, which provides important consumer protections. Giving You a Sinking Feeling – Many policies no longer cover damage from sinkholes unless the sinkholes are deemed “catastrophic,” usually meaning large and sudden. But slowly occurring sinkholes can cause catastrophic damage to a home and its value. Damage can run into the hundreds of thousands, often more than the value of the home, leaving many homeowners with no other choice than to walk away from their mortgages. Requiring You to See Through Walls – Most insurance claims deal with water damage, often stemming from damage behind walls or under slabs that doesn’t become noticeable for weeks or months. Citizens and other insurance companies now deny claims for leakage occurring over more than 14 days, even if it is hidden from sight. In fact, Citizens has just announced plans to further expand its water exclusion. Eliminating Coverage for Mold – Where there is water damage mold often forms. Though it is recommended that water be removed and damaged areas dried within 48-72 hours, company insurance adjusters often are unable to visit the home within that time. No matter the reason, if mold forms, most companies will no longer cover the cost of its removal. Leaving Screened Structures Uncovered – Popular in Florida, screened enclosures used to be covered under most homeowner insurance policies. Many carriers have now added exclusions that remove screened structures from coverage. Re-Defining “Falling Objects” – Typically, damage from falling objects in a home or condo (such as floor damage from a falling light fixture or fan) is covered. Citizens’ new condo policy, however, only covers such damage if the falling objects come down from the sky through your roof or walls. Great coverage for meteorites, but little else. SAN FRANCISCO – California’s attorney general filed lawsuits against mortgage giants Fannie Mae and Freddie Mac on Tuesday, demanding that the companies that own some 60 percent of the state’s mortgages respond to questions in a state investigation. Attorney General Kamala Harris, whose office filed the lawsuits in San Francisco Superior Court, is investigating Freddie Mac’s and Fannie Mae’s involvement in 12,000 foreclosed properties in California where they served as landlords. She also wants to find out what role the companies played in selling or marketing mortgage-backed securities. The essentially identical lawsuits ask the mortgage firms to respond to 51 investigative subpoenas that call on Fannie Mae and Freddie Mac to identify all the California homes on which they foreclosed. They also want the mortgage firms to reveal whether they have information on the decreased value of those homes due to drug dealing or prostitution, as well as explosives and weapons found on those vacant properties. “Foreclosures not only affect the families who lose their homes, but also the safety, health and welfare of the entire community,” the lawsuit said. Harris also called on Fannie Mae and Freddie Mac to disclose whether they have complied with civil rights laws protecting minorities and members of the Armed Forces against unlawful convictions and foreclosures. The suits also seek to determine whether the companies are in compliance with California’s securities and tax laws. 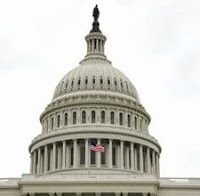 The companies were taken over by the federal government and put into conservatorship under the Federal Housing Finance Agency in September 2008 to save them from collapse. An attorney representing the Federal Housing Finance Agency said in a letter attached to the lawsuits that the 51 subpoenas were “frequently vague and ambiguous,” and said state attorneys general did not have the authority to issue subpoenas against the federal conservator. “The burden to collect that information would be nothing short of staggering,” the letter said. Representatives of Fannie Mae and Freddie Mac said the companies would not comment on the lawsuits Tuesday. The lawsuits could determine whether states have a right to investigate the mortgage firms while they are under federal control. Harris argues that since the mortgage companies own properties in California, they are subject to state law and demands. Fannie Mae and Freddie Mac buy home loans from banks and other lenders, package them into bonds with a guarantee against default and then sell them to investors around the world. The two own or guarantee about half of U.S. mortgages, or nearly 31 million loans. The companies have so far cost American taxpayers more than $150 billion — the largest bailout of the financial crisis. They could cost up to $259 billion, according to the FHFA. Two former CEOs at Fannie Mae and Freddie Mac last week became the highest-profile individuals to be charged in connection with the 2008 financial crisis. In a lawsuit filed in New York, the Securities and Exchange Commission brought civil fraud charges against six former executives at the two firms, including former Fannie CEO Daniel Mudd and former Freddie CEO Richard Syron. The executives were accused of understating the level of high-risk subprime mortgages that the companies held just before the housing bubble burst. Harris has created a task force that is pursuing criminal charges and civil judgments in mortgage fraud cases. She has said that her office would not join a planned 50-state settlement over foreclosure abuses that federal officials and other state attorneys general are negotiating with major U.S. banks. She said the settlement gave bank officials too much immunity from civil litigation. Harris said 768,330 residential mortgages were foreclosed on in California between January 2007 and June of this year. If you are looking for a Mortgage in Spring Hill FL, you should consider an FHA loan. There are so many reasons to choose an FHA purchase loan, before looking at other options. One of the main reasons is when you are a first time homebuyer, you may not have a lot of money to put down on the house. With FHA you can put down as little as 3.5% down, and the seller can also contribute up to 3% as well. With the rates as low as 5.75%, you can definitely keep your payments low and more manageable. Why Choose FHA Over Conventional? An FHA purchase loan in Spring Hill Florida gives you benefits that you can’t with other conventional loans. The main one is the competitive low interest rates. Rates have not been this low in 50 years, and the average FHA rate is comprable if not lower than conventional loans. The rates are lower because the government insures these loans for lenders. FHA loans in Florida also give you the option of a lower down payment, being as low as 3.5% down, versus a conventional loan which requires a minimum of 10% down or more. Your down payment can be the result of gifted funds from a family member or friend, or even a charitable organization. With a conventional loan, everything must be verified which can make for a hectic paper trail. In addition, you don’t have to be perfect to get an FHA loan in Florida. While you still have to qualify you won’t have to have perfect credit. In fact, it is easier for you to qualify after having had a bankruptcy in your past or even medical collections. Don’t let that deter you from applying for a loan, and if you don’t qualify I will tell you why so that you know what steps you need to take in order to do so. FHA structures their guidelines so that it uses commonsense underwriting guidelines. What Types of Purchase Loans are Available? Almost all FHA purchase loans in Florida are fixed rate mortgages, so your rate will never ever change during the life of your loan. FHA has a long history in fact they have been around since 1934, so they are in this for the long haul. It’s nice to know that if you come upon hard times, that there is assistance with FHA. 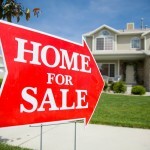 Hopefully, that is something that you will never encounter, but FHA makes those options available for you just in case. 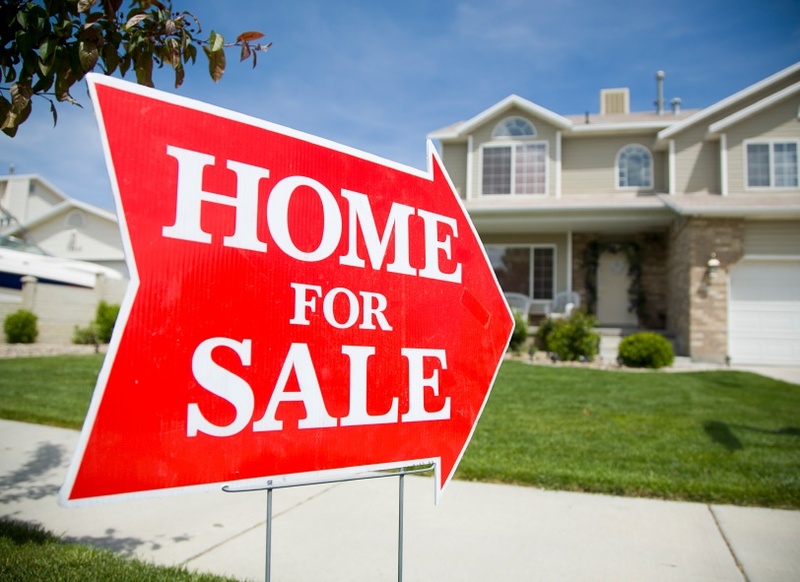 What are the Steps for an FHA Purchase in Florida? The most important step when considering an FHA Loan in Florida is to know how much you can afford. There is a very specific calculation that is used to compare your current gross income to your existing debts in order to determine the maximum loan amount that you qualify for. 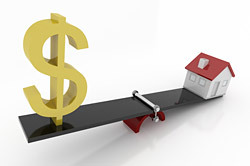 Determining what you can afford, will also be determined by your down payment and interest rate. Trying to determine just how much you can get for a maximum loan amount may not be the wisest consideration, but you need to be realistic about the monthly payment that you are comfortable with. It is all about having a personal budget and if you don’t have that worked out it cause you a lot of problems. When you visit our website, you should really take the time to use our FHA mortgage calculator. That will show you what numbers to plug in so you can accurately determine what you qualify for. In addition, double check the county you live in for the FHA lending limits. The next step is to get prequalified for an FHA Loan in Florida before you start shopping for a home. This is the essential step, and realtors won’t work with you until they know that you have a prequalification in hand. Once you have that, you can begin the process of searching through a wide array of homes. Then, once you have found one you are interested in you can make an offer. For more information on FHA Loan In Florida, or to being your FHA purchase loan qualification in FL, just visit www.fhaforall.com, and fill out the form today. It only takes a few minutes to complete.